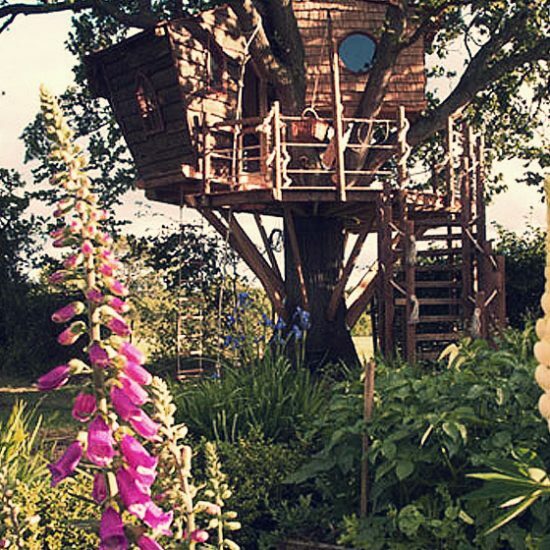 Enhance your garden with a hand crafted bespoke Playhouse, Treehouse and more…Children simply cannot be outdoors enough! 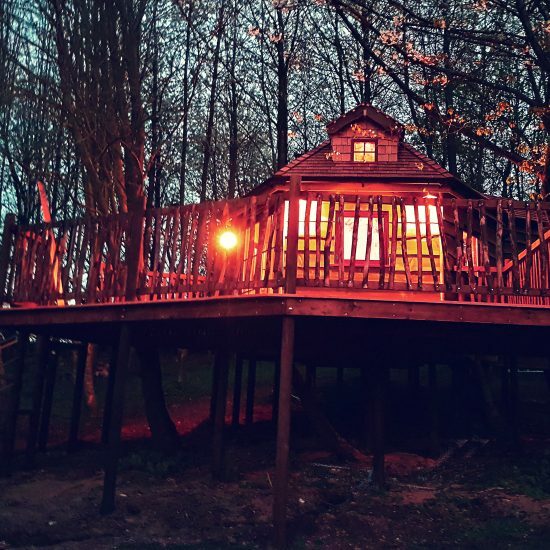 Squirrel Design is a family run business that designs and constructs romantic style outdoor structures; tree houses, glamping accomodation, garden offices, eco retreats, play houses, hideaways, tree climbing fun and much more. Working in collaboration with you, we design and build bespoke structures that bring ideas to life and turn them into reality. It is paramount to us that our work is of the highest quality. 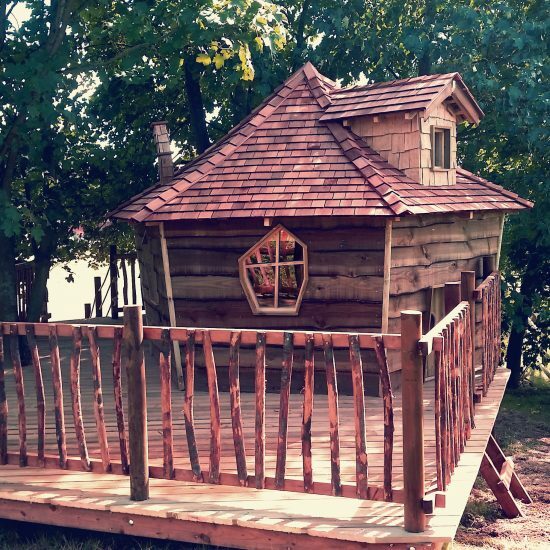 Not only does this create a safer structure or tree house, but also one that you will be proud to own. We will visit your garden or play area to carry out an initial survey and establish what your needs and specifications are. At this point we evaluate any safety issues, site suitability and discuss various design concepts. We will carry this out free of charge. 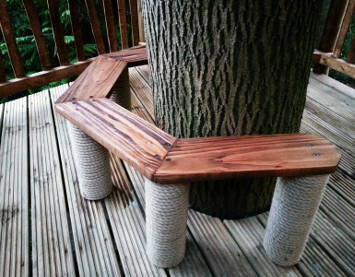 Squirrel Design structures are as individual as the trees or outdoor spaces they are built in or around. 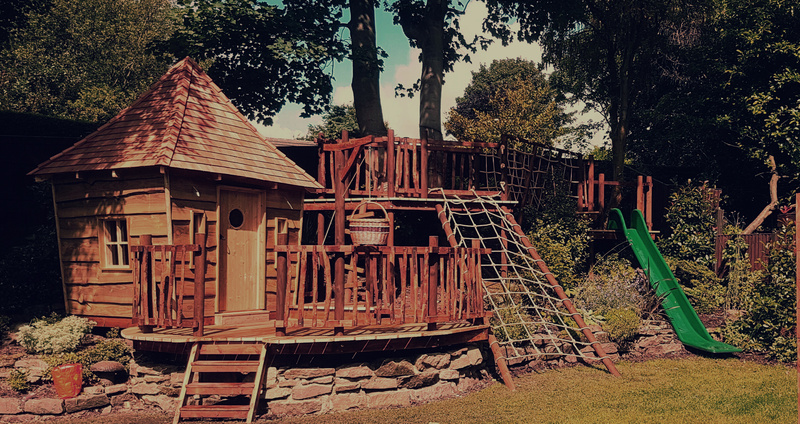 We take a lot of care over the design stage, and present our proposal to you as an artist’s impression of what your finished tree house or structure will look like. In addition we also produce CAD plan drawings for layout and dimensions, and elevations where necessary. Where planning permission is to be applied for, and once the final design is agreed upon, we then create the required detail drawings and elevations. We also put together the relevant design, method and access statements as appropriate. We charge a fee from £150 for this service. Once the details of the proposal are fully agreed we set a start date for the build. This is secured with a 40% deposit, and a schedule of work is then agreed. We pride ourselves on our commitment to start your project on the date agreed. We only use selected, high quality materials, sourced from specialist suppliers. 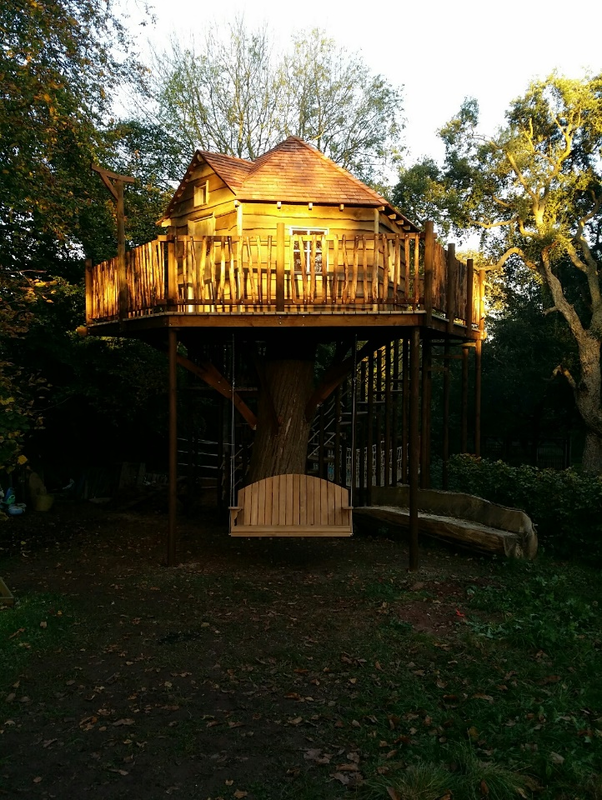 All timber is treated for external durability and, with the correct yearly maintenance, will provide years of fun and entertainment. Site safety is paramount, and during the build we cordon – off the area from over-eager spectators! We can boast a 100% reliability record – we start and finish a project when we say we are going to start and finish. The balance is due on completion. We are constantly assessing a project as we work through the build, and believe in a flexible approach. Should you decide to add options to the project as we go along, this is seamlessly added into the build. Working with Squirrel designs was a pleasure. 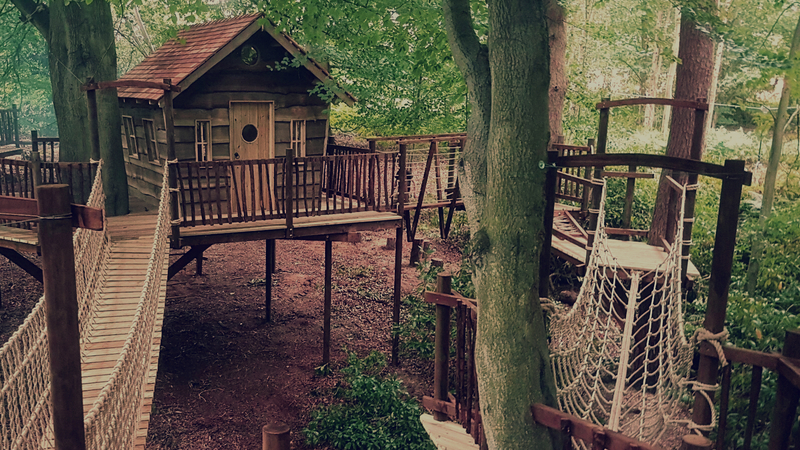 They designed a most practical and beautiful eco lodge for the ASHA Centre in the Forest of Dean which has bought joy to thousands of young people that come to the centre from around the world and use the place every day for meetings , quiet meditation and for bird watching. After speaking to many designers and creators of tree houses and lodges we choose Squirrel design because they immediately understood our need. They worked on site with a team that were charming and kept to time. If anyone wishes to see our lodge they are welcome to come and see how it looks. As new as the day it was built. I would never think of using any other company as Squirrel design's work is of the highest standards and all the team are delightful to work with. 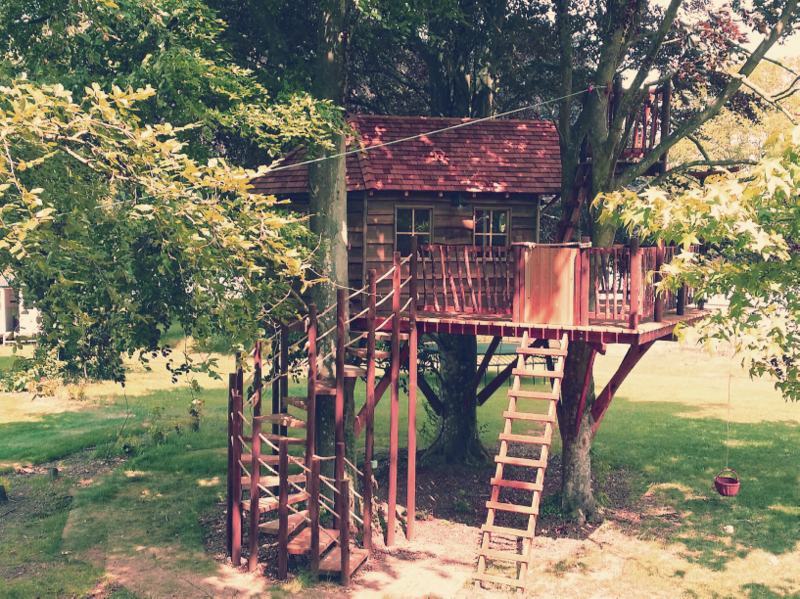 We absolutely love our new treehouse! 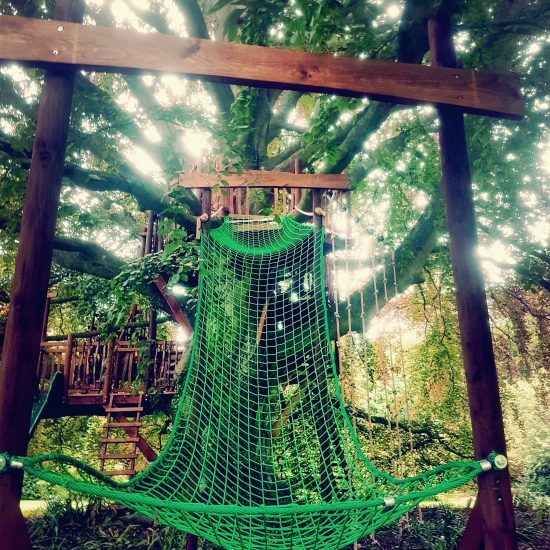 With some rough ideas from the children and a very helpful site visit, Squirrel have built us a treehouse and play area that is perfect for now and will also grow with us. Fun for the adults too. Squirrel were always prompt, professional and fun to deal with. I would have no hesitation in recommending them. Squirrel Design stood out to us due to their responsiveness and obvious passion for what they do. After a comprehensive site visit we shortly received some wonderfully sketched initial design ideas and Squirrel Design provided plans for use with a planning permission application. The Squirrel Design team were superb - extremely hard working, very communicative and obvious craftsmen. The works were completed on time and within budget. 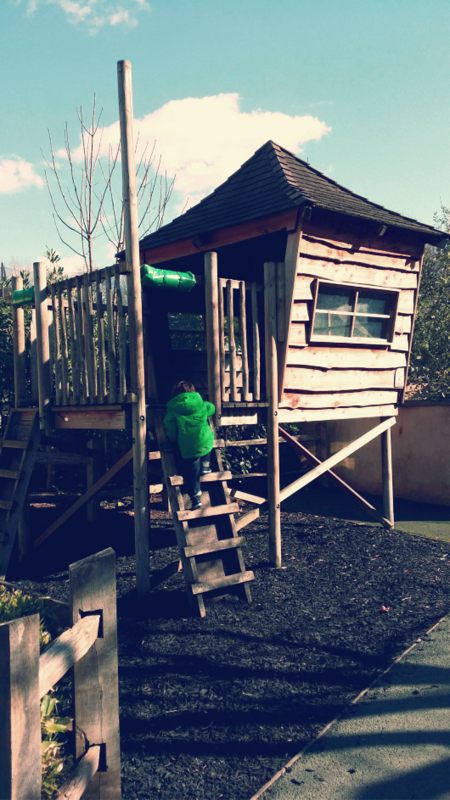 The delight on our children faces when they first saw the finished treehouse was worth every penny. The whole experience was enjoyable and we would have no hesitation in recommending Squirrel Design. 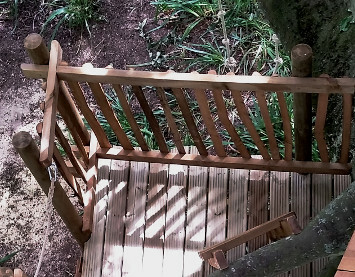 I would happily recommend Squirrel Design they put so much thought and care into the design to incorporate the tree and its natural surroundings. The detail was outstanding and we have a beautiful house in our garden which is our daughters delight. 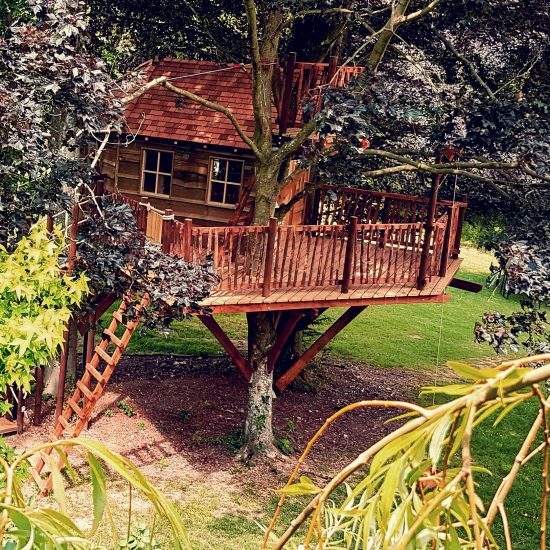 I had wanted to build a tree-house for my children since I was a boy and having tried several builders I knew as soon as I found Squirrel Design that I had found the perfect company to deliver on my ambitions. We can assure you that all materials used are sourced from specialist suppliers and are rigorously checked before being used on any project. Our timber is treated for external durability which, along with the superior workmanship, ensures that your structure will last for many years to come: We offer a personal maintenance contract for new and existing structures since we advise maintenance checks at least every other year and that the timber is treated with an appropriate care product annually. We firmly believe that to offer a truly bespoke service, the level of service and project management must match the quality of the actual build: we pride ourselves on our commitment to our customers, on our attention to time keeping – we can boast a 100% success rate in both starting and finishing projects on time – every project should be as positive an experience as possible. It is obviously of huge importance to you that our structures are safe to use and play on. Safety regulations are always taken into account when designing our structures. We take great care in engineering buildings that are appropriate for their purpose and relevant to the age of the users. However, one has to remember that as human nature has it, children are inquisitive and adventurous – as they should be encouraged to be: teenagers can feel invincible and adults are often in denial as to the passing of time! So we always incorporate different levels of challenge into our structures. 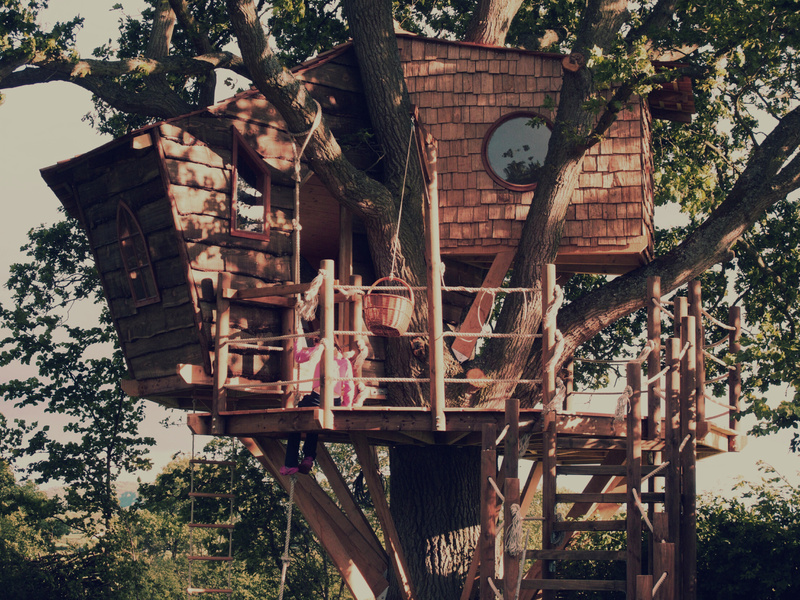 For instance by building a second, more easily climbed access route to the tree house as well as a rope ladder. We never build opening windows above a drop, and all our windows are made with safe and strong polycarbonate, rather than glass. 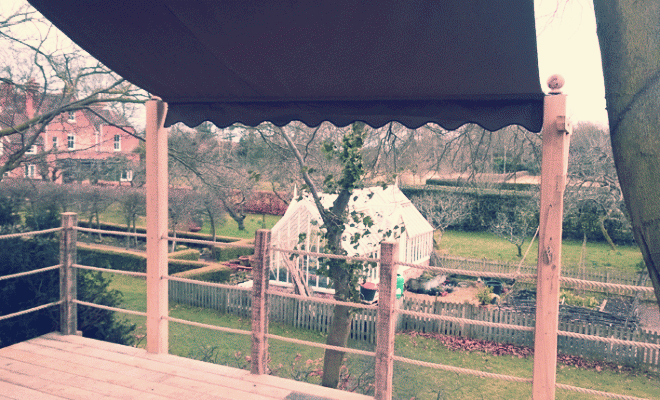 It goes without saying that at Squirrel Design we hold the environment and the outdoors in utter respect. 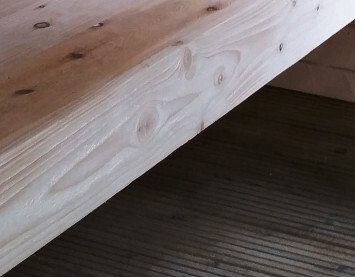 All of our timber is sourced from sustainable, managed woodland sources. We are passionate about creating the opportunities to make more of your surrounding landscape. By creating your own special space in your own environment, you can encourage an everlasting – and more creative – enjoyment of your surroundings. 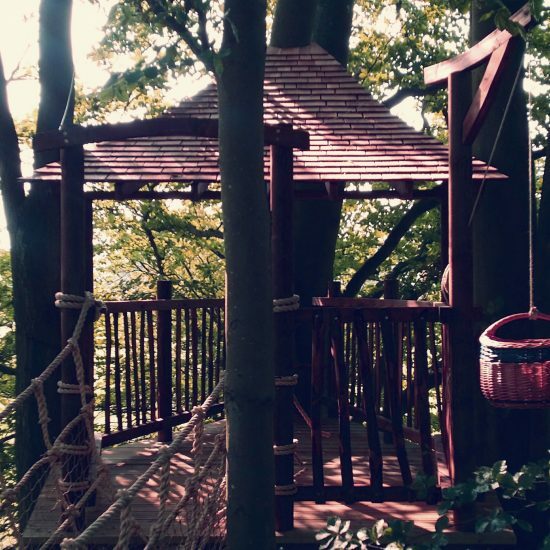 The first step to owning your own dream bespoke tree house is to get in touch and tell us about it. 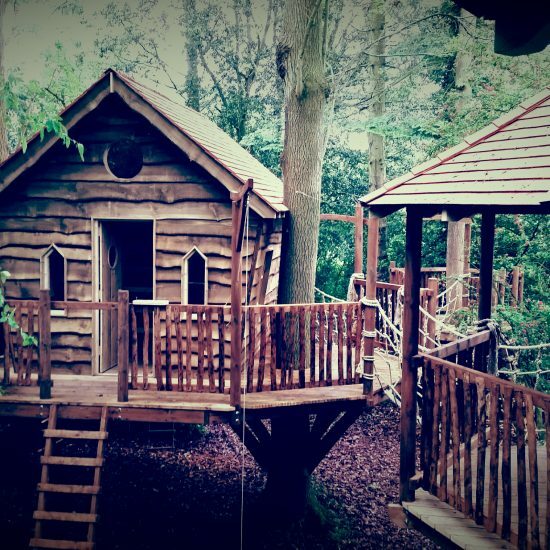 Use the form on the right to send us a message and tell us about your dream tree house then we can get things rolling to turn that dream into an amazing bespoke reality for you and your family to enjoy. 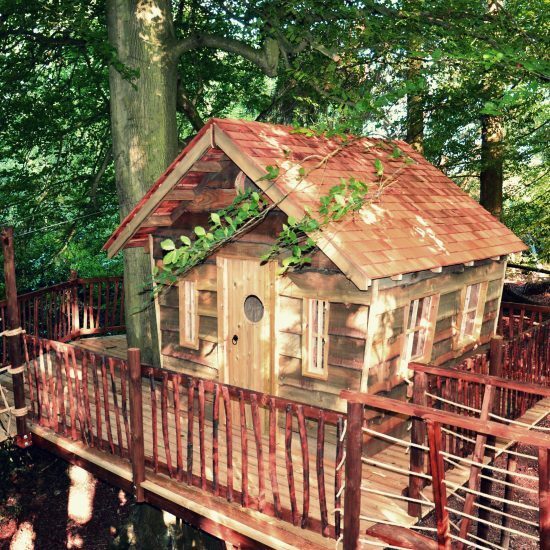 Then we’ll be in touch to arrange the free site survey, your dream tree house starts here! 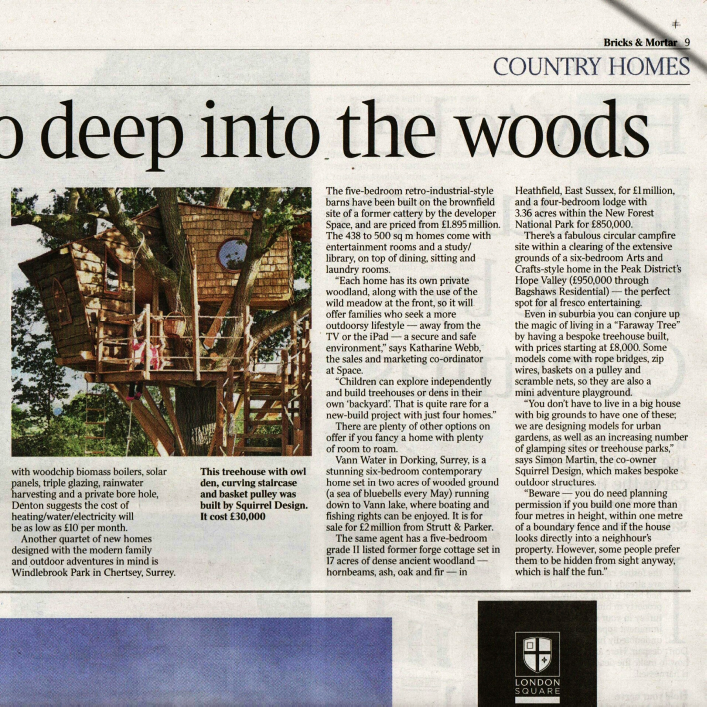 In ‘’The Times!’’ Squirrel Design Treehouses for amazing treehouses – great end to October.